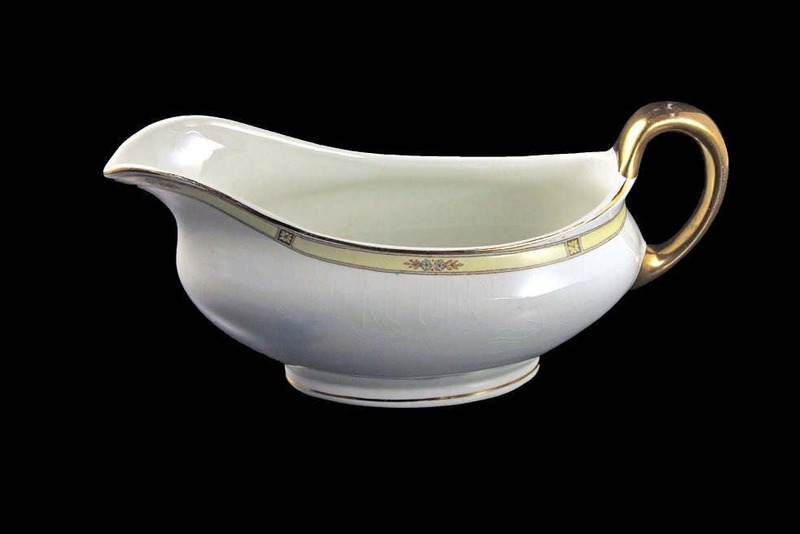 This is a lovely antique gravy boat by Ridgways. It was made in England and has beautiful blue flowers on a yellow band. 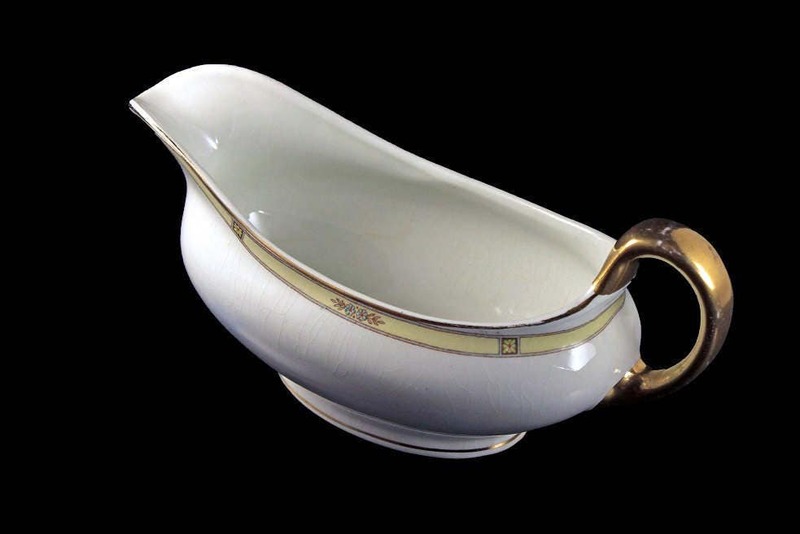 The body is white and the handle is gold. 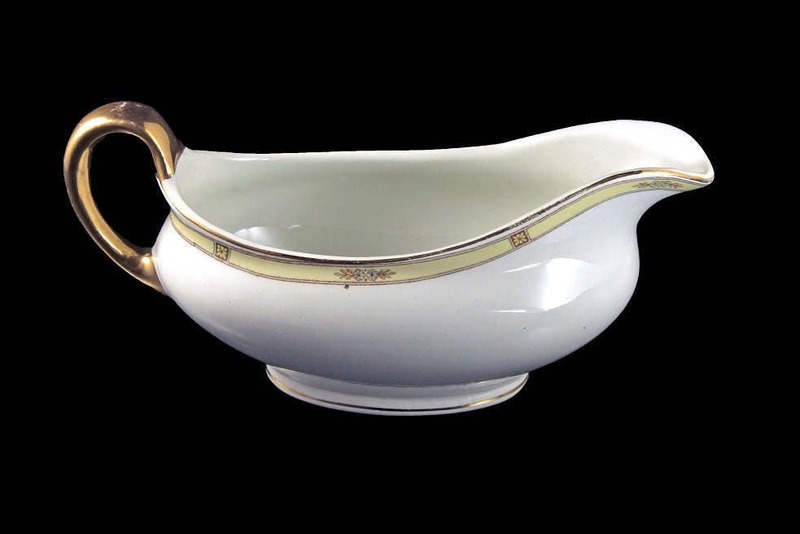 This would be beautiful on a table, sideboard, or buffet. A wonderful piece from by gone days. 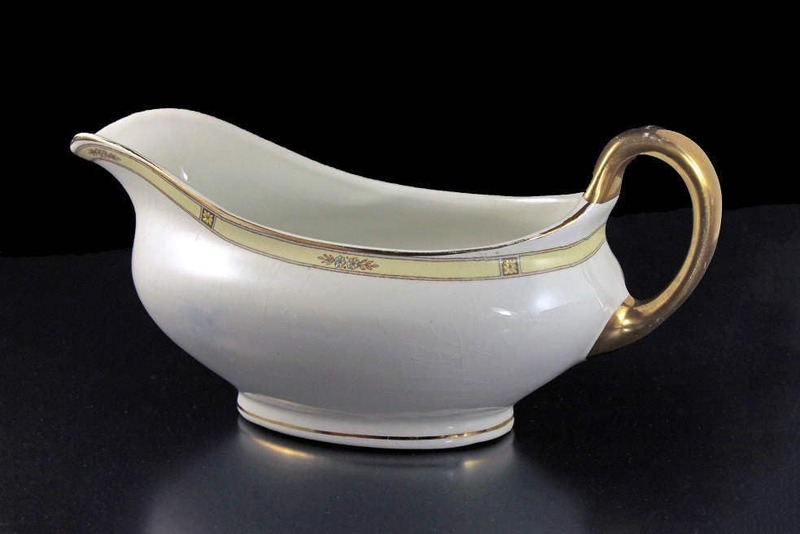 This is an antique gravy boat in very good condition. It does show signs of being used over the years. It is over 100 years old. There are no chips or cracks. 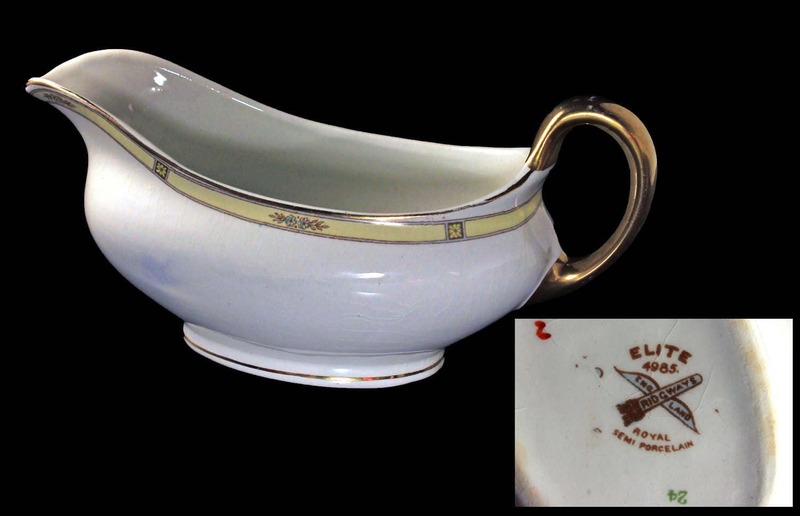 There is a fair amount of crazing in the gravy bowl inside and out.